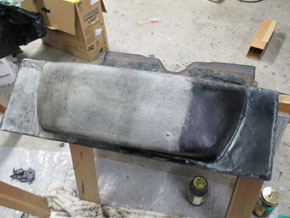 Originally when I purchase 003 in 2009, we thought the rear shelf was a reproduction since when the rear of the shelf was viewed from inside the trunk it did not show the cloth meshwork of the fiberglass seen on other original GT350 package trays. 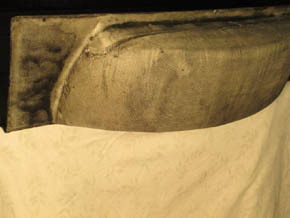 Upon removing the rear shelf, we were pleasantly surprised to see the cloth meshwork on the underside of the shelf. 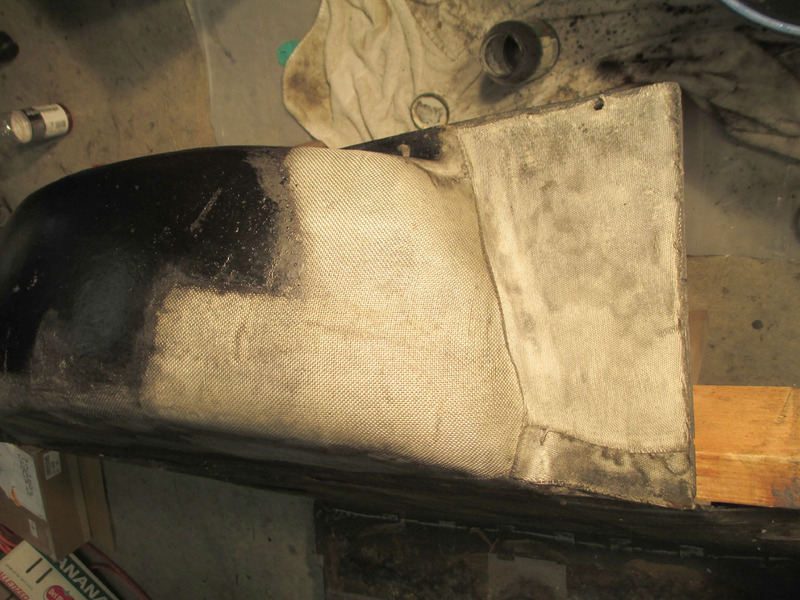 The reason why we were not able to see the cloth meshwork was because there were several thick layers of black paint covering up the fiberglass base. 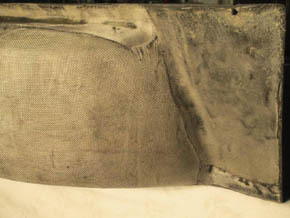 It took over one week to slowly strip the paint off the rear section of the shelf without damaging the fragile cloth meshwork. All the previous owners of 003 were contacted; none of them remember changing out this shelf when they owned the car. 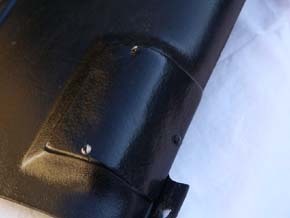 The shelf is different from later production shelves in that the rear section was made in several sections with reinforcing strips. This may be the first rear shelf produced, so care will be taken to leave the imperfections as they were found. Here is 5S003's steering wheel prior to the wood restoration, the spokes were polished first to an inch of their life by Dale Knutson, the paint person for 5S003. 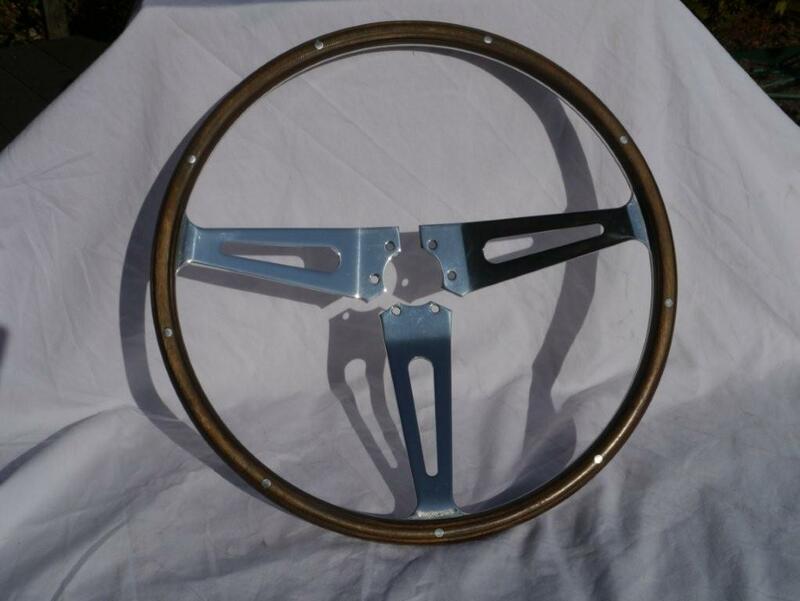 The wood wheel will now be restored by Jeff Stevens, who restored the wood wheel on 5R002, just for consistancy between the two cars and because he is really good at what he does. Early 1965 GT350's had a fiberglass plate to cover the fold down latch located on the passenger side interior rear fiberglass panel. This one may be in fact, original to 003, if so, it was the first of its kind produced. 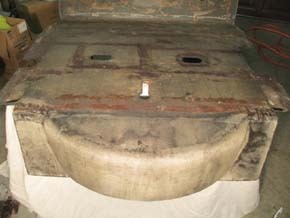 Years of multiple paint layers were stripped off and it will be repainted for its reattachment. 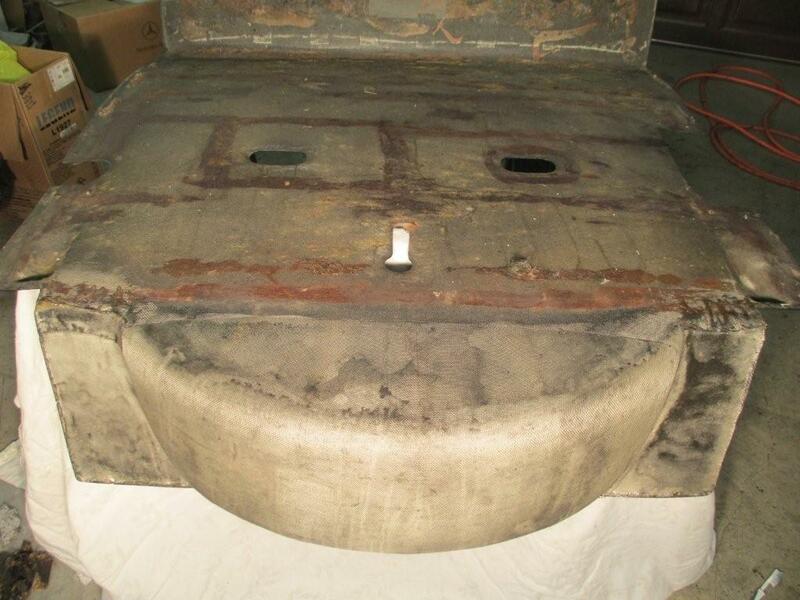 Later production GT350'S used a metal plate, some say from the top of the Mustang doors, to cover up this area.